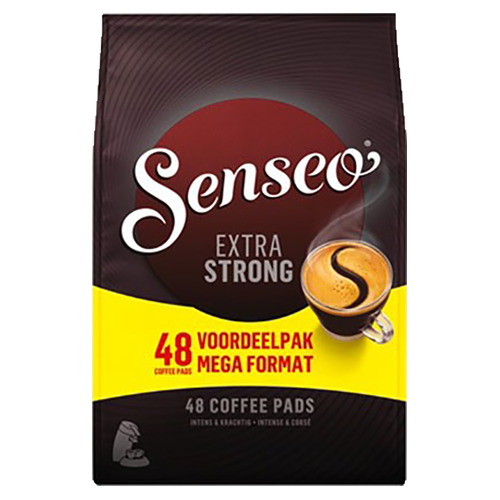 Senseo Extra Strong coffee pads give just as the name says a really strong coffee here on niceprice 48pac. Senseo Extra Strong has a spicy almost sour taste with a very clear body. In addition Senseo Extra Strong has more caffeine than usual Senseo coffee.